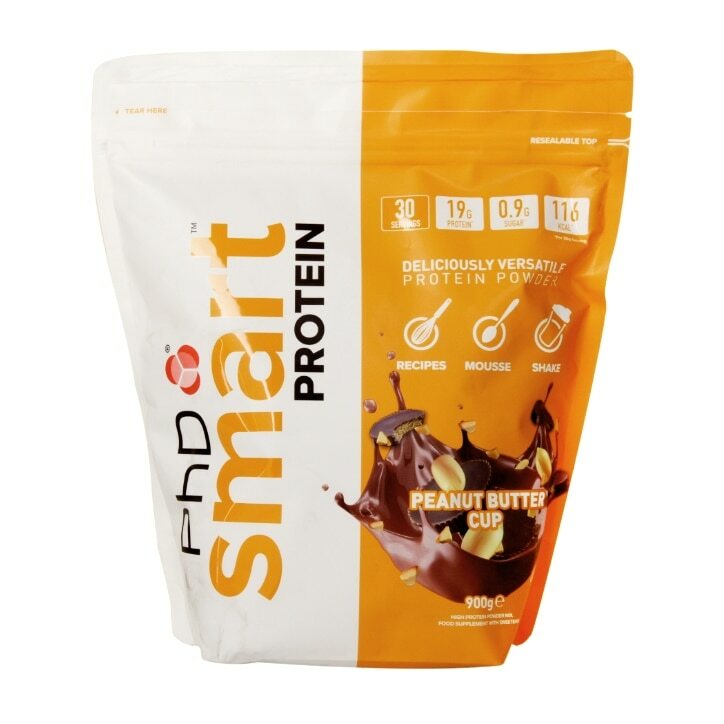 PhD Smart Protein Peanut Butter Cup is rated 3.9 out of 5 by 14. Rated 3 out of 5 by Juliefromessex from Disappointed ! Been looking at this protein powder for ages as I love the bars , but I was disappointed on the taste and thickness . Can’t taste the peanut and tastes powdery . Rated 2 out of 5 by ThomasW from Really does not mix well. Taste is ok. I've used a number of protein powered for years and this is the worst one yet. It really does not mix well with water or cow's milk (my preference) leaving you with a powered texture and taste. The taste is ok - not too sweet. But far from being the best tasting protein powder. Not recommended. Rated 5 out of 5 by daisy253 from Amazing Flavor and Texture I've tried LOTS of protein powders in the past, and more often than not the flavor is either super artificial with a weird aftertaste, has a strange texture, or makes my protein oats watery! However, this protein powder is AWESOME! It is excellent as a mousse, with a lovely, thick texture (great to plop on top of porridge, or as dessert!). It is definitely sweet, but I love it because it truly DOES NOT have that odd 'protein powder' taste that so many powders do. I wouldn't say it tastes precisely like a Reese's cup, but PhD does do quite a good job of capturing that sweet/salty deliciousness of the PB/chocolate combo. Don't hesitate to buy this if you're super picky about protein powders like me! It's worth the money.